Pastor Mahon looked at the beautiful blue and white structure. It stood so strong—and pointed to God's glory. Within its walls, reverent believers gathered in celebration, praising the Lord. The saints who gathered there had an anchor of hope living inside them. As GFA-supported pastor Mahon gazed at the building, all the struggles and opposition he had faced faded away. God had done what once would have seemed unthinkable. Pastor Mahon began his ministry in this same village in Asia in 1996. When he first started serving the Lord in this place, it was far from easy. Many opposed him because of the message of peace he carried with him. But Pastor Mahon did not give up, and the Lord began to soften hearts to accept His forgiveness and love. Pastor Mahon and his family. Even through hardships in ministry, he has faithfully served the Lord, and because of his devotion to Jesus, there is much fruit to show from his life. After two years of persevering, Pastor Mahon saw many come to the knowledge of Jesus, and their lives were restored to fellowship with God. A church naturally sprung up. One of the first fruits of Pastor Mahon's ministry was a man named Garvan and his family, who willingly invited the love of Jesus into their lives. Pastor Garvan grew in his walk with Jesus under the shepherding of Pastor Mahon. After a time, he decided to serve the Lord with his whole life. His testimony was the first fruits of Pastor Mahon's church and ministry. As Garvan grew in the Lord, he decided he wanted to serve in ministry and eventually became a pastor. Pastor Mahon and Garvan paved the way for other brothers in Christ to carry hope with them in this village and region. One of these men was Pastor Palu. The years passed, and GFA-supported pastor Palu was called to shepherd the church Pastor Mahon started, when Pastor Mahon was called by his leaders to serve in another region. As Pastor Palu poured out his life for the congregation, the Holy Spirit moved him to share the hope he had found in his Lord with people in the surrounding areas. 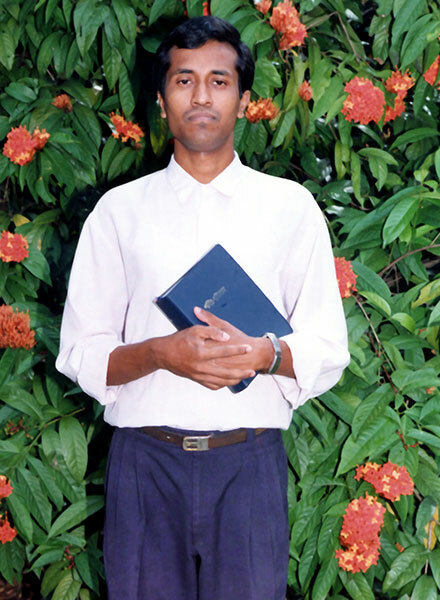 God blessed Pastor Palu's ministry, and many vibrant believers joined the church. The church was alive and thriving and many lives were being redeemed, but there was one problem: The congregation had no building to worship in. 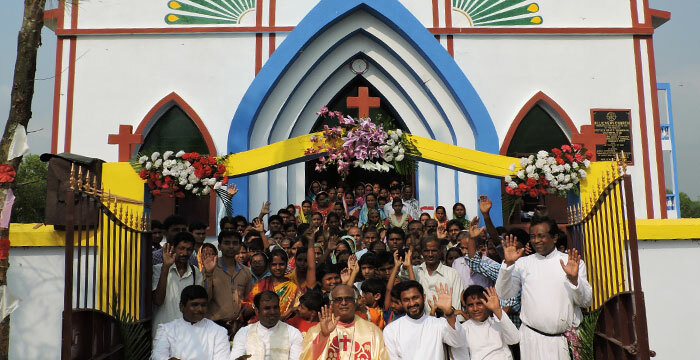 For many in Asia, when they see Christians who have no building to gather in, it is confusing. Because they have practiced religion in a set-apart structure all their lives, this makes it difficult for them to see Christ as a sacred God. Although one believer graciously offered his home for services, he wasn't always in town. Then when the monsoon rains or summer heat came, many believers, especially those from surrounding villages, couldn't attend church. It was impossible to travel in the extreme weather conditions. These obstacles discouraged Pastor Palu and his congregation. Many of the brothers and sisters couldn't fellowship together as they longed to. But this didn't keep the faithful Body of Christ from praying continually for a permanent place of worship of their own. Pastor Mahon passed the baton of his church on to Pastor Palu. Pastor Palu faithfully is leading the church that Pastor Mahon pioneered. 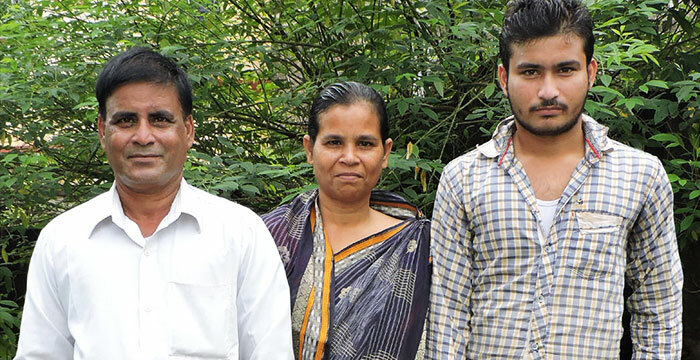 Pastor Palu's congregation faced a struggle shared by many believers throughout Asia. Although the church was thriving, there remained an ever-present need for a building so believers could worship the Lord together under one roof, protected from the weather. 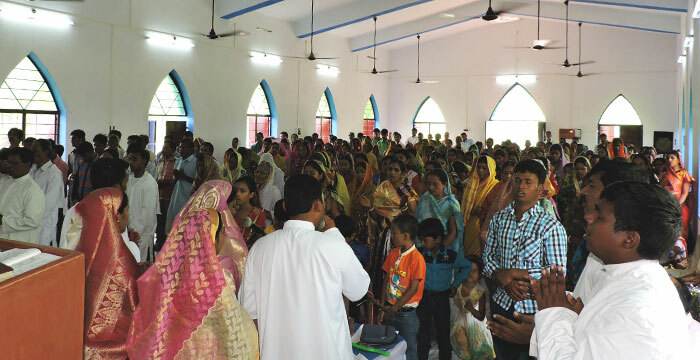 While brothers and sisters in Pastor Palu's congregation lifted their voices to God, believers around the world acted in line with the heart of Christ by giving their resources to provide for permanent places of worship. Months passed, and Pastor Palu's congregation received the land and materials they prayed for to start their brand-new building. Construction commenced, and soon these joyful believers gathered to celebrate God's goodness and answered prayer as their church building was completed. A special guest was present on the church's dedication day: Pastor Mahon, the man who had, by the Lord's grace, started the ministry in this area. Joyous believers are worshiping the Lord in the building they prayed for. God has blessed them tremendously! "When I see the church building," Pastor Mahon said, "I overlook all the difficulties that I faced in the initial days. I praise God for His faithfulness." In an atmosphere of joy, the believers sang songs of worship to God for meeting their need. "It was a long-felt need," Pastor Palu said. "I have no words to express my inner feelings and joy. Praise be to God." Now this place of worship can facilitate Women's Fellowship meetings, Sunday school, youth ministry and various events and activities. Today, this building has become not only a place of permanent worship, but it has become a place where many GFA-supported workers are able to meet each month to fast and pray together. God used His faithful son Pastor Mahon to share the hope of Christ to those who may never have heard His name before. The church stands not just as a building, but as a testimony of what God has done. During the church's dedication service, special guests, including Pastor Mahon, were present to celebrate what God had provided. You can partner with our brothers and sisters across the globe who are in prayer for God's provision for a place of worship of their own. Give a donation to fund a permanent place of worship in Asia today. Together we can stand as one, the Bride of Christ, wherever we may be located on this earth.